A new Airbus A320-232SL (Sharklets) narrow body due for delivery to the yet to be named Tata-SIA airline joint venture took its first flight yesterday. 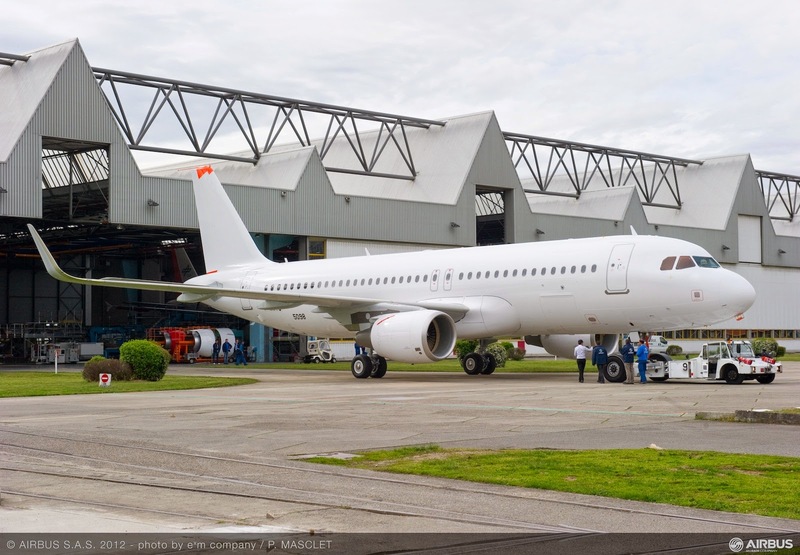 MSN (manufacturer’s serial number) 6223 test registration F-WWDT due to be registered as VT-TTB when delivered, took to the skies at Toulouse Blagnac airport on 08:13am with a call-sign AIB01DT. Now This Aircraft Has been moved to Paint Shop to paint Logo TATA-SIA India.